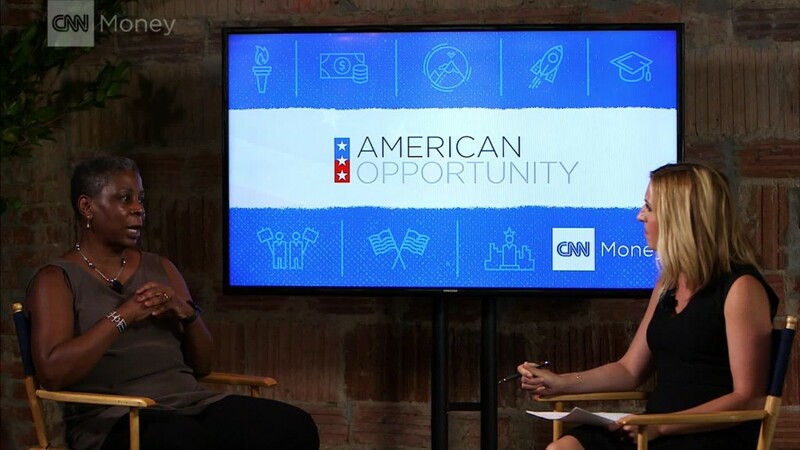 Ursula Burns thinks there's a problem with how we talk about lifting people out of poverty and helping them achieve the American Dream. 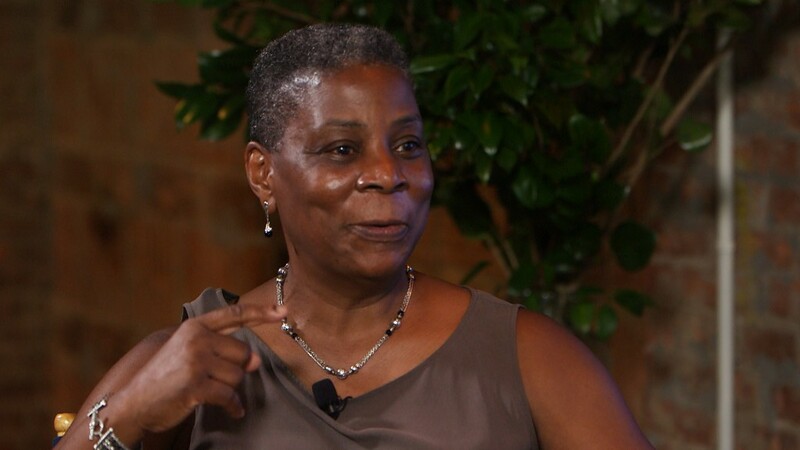 Listen to the full Ursula Burns interview here on Boss Files with Poppy Harlow. "[The rhetoric today] is, 'If you don't have, you don't deserve to have. If you don't have, you didn't try hard enough,'" the former chief executive of Xerox (XRX) told Poppy Harlow at CNNMoney's American Opportunity breakfast in New York Tuesday. Burns, who was the first black female CEO of a Fortune 500 company, said she couldn't have climbed the ladder without a lot of help. But she said she fears fewer people in government seem to understand that. Burns grew up in public housing in New York City's Lower East Side neighborhood. She was raised by a single mother who worked multiple jobs to support her three children, but the most she ever made was $4,400 per year, Burns said. 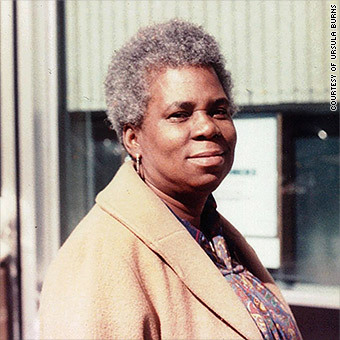 Burns remembers people telling her when she was just a child that she had three strikes against her: She was poor, she was black and she was a woman. But she learned from her mother not to be afraid to ask for help or to accept support offered by friends and family members, people in the neighborhood, government organizations or nonprofits. Ursula Burns' mother worked hard to support her three children but was not afraid to accept help either. She pointed to her experience applying to college. Burns said she applied to seven colleges, and each had an application fee of about $60. That would have been half her mother's salary, if it weren't for programs in place that allowed her to waive the application fees. "Institutions both private and public had to help [my mother]," she said. "Her responsibility was to parlay it into something else. That's the American Dream." Now, from health care to education, Burns said she believes "we are tearing up the foundations of these helps." Leaders are undermining the idea that everyone who does his or her part deserves a solid start. Schooling has become about income and geography, she said. And, when it comes to health care, "to have a debate about whether you can get glasses if you need them is one of the most bizarre debates in the world," she added. Burns said that despite these issues, she has no plans to run for public office -- at least, not for the time being. Why? Because "I think we need to do a little bit more structural repair of the political system before I get involved," she said. Burns said she would run for office if she thought the effort she "put into the political arena was an effort that would have more impact." "I will never say never. Even though right now, I'm saying never," she said. Burns said she doesn't find the prospect of campaigning for a political office very appealing. "It's such B.S. right now what we go through to run," she said. "You have to know more about me than my husband knows about me. I have to be more saintly than Jesus Christ was." In the meantime, she's staying focused on empowering those who need help getting ahead, and urges others to do the same. Her take: It's not about money. "We don't have to be Bill and Melinda [Gates] to have that much impact," she said. Find one person you can mentor and help, and carry him or her along with you, she said. And if you're on the receiving end of a helping hand, take it. "If you seem reasonable, asking for help is not a bad thing -- and people are very willing to give it," Burns said.